The Jewish calendar normally consists of twelve lunar months. A lunar month—from the moment when the crescent new moon appears until it disappears once again—is roughly 29.5 days. Twelve lunar months equal 354 days, eleven days less than the solar year. Therefore, if we were to maintain a strictly twelve-month lunar calendar, we would lose eleven days each year. This would result in holidays which would constantly be fluctuating in relation to the seasons, which are dictated by the solar cycle. We would have summer Chanukahs and snowy Shavuots. Therefore the Torah commands us,1 “Guard the month of spring, and make [then] the Passover offering.” This is a directive to the Sanhedrin (Rabbinical Supreme Court) to constantly adjust the calendar to ensure that Nissan, the month of the holiday of Passover, always falls during the spring season. This is accomplished through thirteen-month “leap years” which were added to the calendar approximately once every three years. During these years, a second month of Adar was added to the calendar. However, it wasn’t enough for Passover to fall after the equinox, when it was “officially” spring; spring-like conditions needed to be evidenced. If in the land of Israel the barley2 had not yet ripened, and the trees were not yet blossoming with seasonal fruit—that, too, was sufficient reason to delay Nissan by adding a second month of Adar. Spring should be felt; it should be bright and green. In the 4th century CE, the sage Hillel II foresaw the disbandment of the Sanhedrin, and understood that we would no longer be able to follow a Sanhedrin-based calendar. So Hillel and his rabbinical court established the perpetual calendar which is followed today. This calendar is comprised of nineteen-year cycles, each cycle containing seven leap years. This calendar will remain in effect until Moshiach will come and reestablish the Sanhedrin. Wishing you a happy, healthy and kosher Passover! Barley was needed for the Omer sacrifice which was offered on the second day of Passover. I'm trying to research the times GOD wanted me to remember for Holy Days, and am confused by all the talk about months etc. Is it accurate to say that ancient Jews counted the beginning of Nisan based on the new moon following equinox? If can not trace your ancestory to Judah then your not "jewish". There were other tribes, to be of Israel is to desend from one of these tribes. True Israelites passed over the caucus mouthing and settle europe and the most blessed nation ever the USA. Which is the only country that fits God's promise to Abraham. Question I am very confused, to be completely honest. I was speaking to someone who is very orthodox, and they stated that, this year, the true vernal equinox (12 hours sunlight/12 hours dark) occurred on March 17th, which would mark the start of the true New Year. If we take this date and then add on 14 days, as was his assertion based on the "original" ancient calculations, this would make Passover's true start date this year March 30th. There are now so many calculators of time and so many "adjustments" that it makes one want to weep for a single answer. I do take this seriously, as there is a blood moon tetrad, as well as a pair of solar eclipses, happening, starting April 15th. If the Passover calculations are "wrong", then the message being sent to us is different. Each year the equinox varies by a few days The scientific calculations used today may vary some in methodology but the results should be the same. The year starts with the new visible moon (in the Jerusalem area) after the vernal equinox. Since the actual equinox was the 20th the year should start April 17. That is if we were sticking to the way the Sanhendrin did it before adopting Hillel II. The exact time of the equinox varies from year to year, which means so can the date. To avoid confusion between time zones, the time of the equinox is usually based on Coordinated Universal Time (UTC), which is four hours ahead of Eastern Daylight Time. By this metric, the vernal equinox can occur anywhere from March 19 to March 21. This year’s spring equinox is the earliest since 1896. For the rest of the 21st century, the March equinox will arrive continually earlier with each passing leap year. Beginning in 2044, the equinox will be on March 19 (UTC) on every leap year until 2100. The earliest equinox of the 21st century will be in 2096, arriving midday on March 19.
correction to Chaplain Susan Psalmonds's comment No one is 1/2 Jewish. It works like mitochondrial DNA. If a person's mother was Jewish, then the person is 100% Jewish, even if the person's father was not Jewish. the above comment Susan, you have a remarkable name for a Chaplain as your name contains Psalm and also, almonds. For me, almonds, when I split the word, in my perhaps idiosyncratic fashion, brings me to ALL and Monde. Monde in French means, world. And so I see your last name as redolent of psalm or song, around the world. Your website and this article I want to commend you on making your article simple enough for everyone to understand. I found it more helpful than some of the online encylopedias. I like the whole website and plan on coming back when I have time. PASSOVER SCROLLS: stand by me! 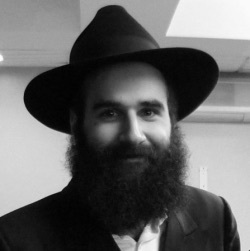 It seems to me that now that it IS surely spring, now that here in New England the magnolias are opening, now that tulips unfurl their lipstick scrolls, and yellow daffodils trumpet the fact, that everything is springing into new life, well, I am thinking why is it here, on Chabad, that there are so many great articles, but very few that do speak to our need, as Jews, to celebrate the environment, for working on environmental initiatives? So much talk of doing good, but very little by way of directives, involving the direction of this planet earth. I say this as it is that time of year known as Earth Day, and I do know my name is deeply connected to the word, the old word, as spelled, URTH. Spring equinox and Chagim Very interesting and informative. How great our CREATOR!! Thank you very much for this article and the Chabad site. I was not born Jewish but the TORAH is the everlasting and eternal guide in my life and I am so looking forward to Passover. May you be blessed with strength and wisdom to share all these beautiful ideas with us. the significance of Spring Spring is renewal. It is that time of blossoming, when seeds burst open from their casings, when birds truly sing, and the land is covered with green, an expansion of all that's live and growing. A true "springing" into life, and so it is we have the word spring for what is coiled, and then uncoils so beautifully, as a fern, as a tube of tulips, as all that "lip stick" that which opens to love. A lighthouse! As bulbs in the ground are to light bulbs, so it is the world bursts into lovely, into all the prismatic colors of spring, life itself. In delight, in the light, there is a lightening of heart, an inner rejoicing that greets that outer visible manifestation of Joy. When I scatter bread and seeds, anywhere, for my birds, I know they will be guided. They will come. And so it is, I feel guided, in all that I do and write, by that hidden yet so visible presence of Awe in G_d, in the One ness of this, most magnificent Creation.